Tom Thum gets his freak on in the form of a human beatbox, and the results are fabulous! If you want to smile, I suggest checking out the Ted Video below. I fell in love with this kid! Can you imagine what he’d be doing if he wasn’t doing this? Photo I took today while out cycling . . . There were quite a few people out, enjoying the trails. It’s a wonderful place! But, I had the intense need to be alone today, so I bypassed some of the singletrack by riding the road for a bit. 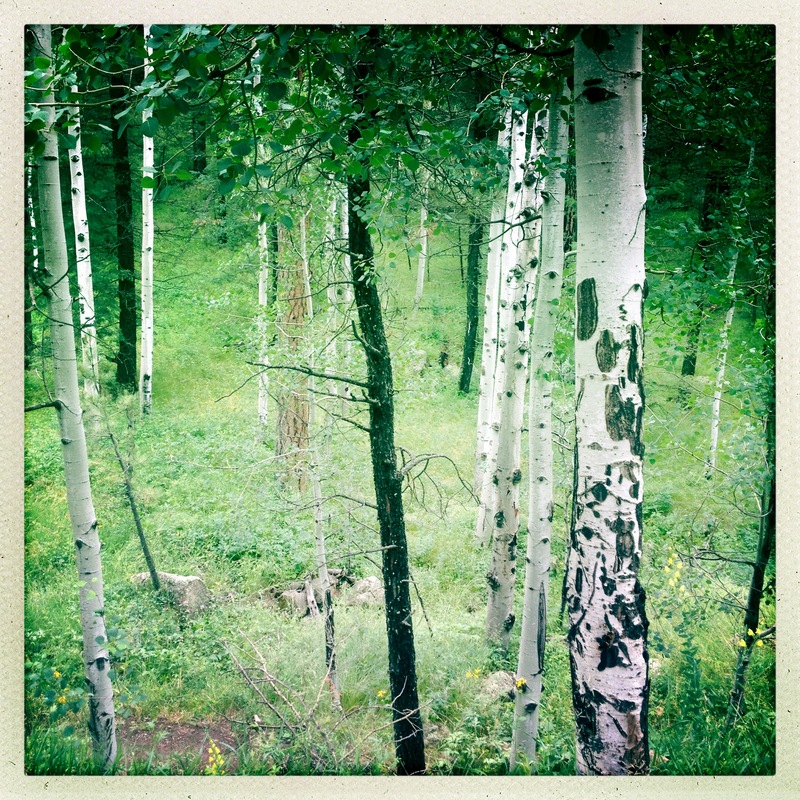 Looking down through the aspen, I can see singletrack. When I ride the singletrack, I’m aware of the road occasionally in the background, but I never notice being that close to the road.